Australian philanthropist Judith Neilson will donate $100 million to create an independent journalism institute in Sydney. Philanthropist Judith Neilson. Photo credit: Peter Braig. The Judith Neilson Institute for Journalism and Ideas aims to celebrate and encourage quality journalism in Australia through education, grants and events. While Neilson will be patron of the institute, she will play no direct role in its management, allowing it to be independent and non-partisan. Neilson said she recognised the need to support evidence-based journalism and the pursuit of truth in today’s fractured media landscape. “I am delighted to support the establishment of this institute and I will look to experienced journalists and other experts to manage and guide its work,” Neilson said. Journalism doesn’t just need critics, it needs champions, according to Neilson, who pledged to provide resources to help educate journalists and their audience in pursuit of excellence. “Through targeted funding and education we can strengthen Australian journalism and help restore faith in its central role in a healthy democracy,” she said. 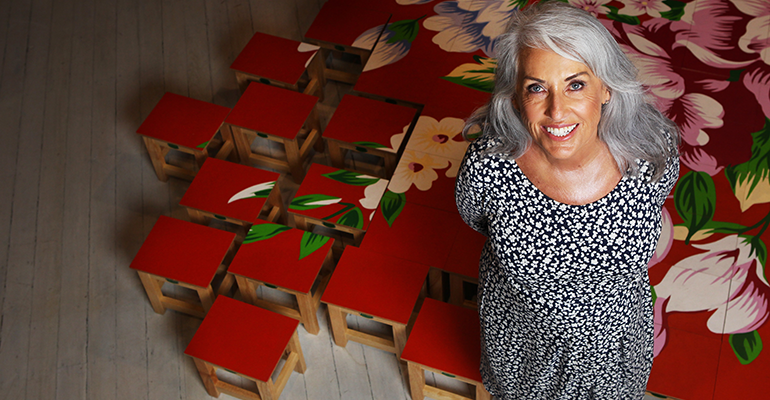 Neilson is an Australian philanthropist, well-known for housing one of the world’s most significant collections of Chinese contemporary art at her White Rabbit Gallery in Sydney. She has an estimated net worth of $1.7 billion, and an extensive property portfolio as well as a stake in international equities firm Platinum Asset Management. A patron of Anti-Slavery Australia, Neilson’s charitable work and contribution to the arts were recognised by her appointment as a Member of the Order of Australia (AM) in 2016. The philanthropy sector has welcomed Neilson’s generous contribution. Philanthropy Australia CEO Sarah Davies told Pro Bono News her organisation commended Neilson’s commitment to an important initiative. “The revitalisation of robust public interest journalism in our democracy is an issue our members have been continuously confronting, so the founding of this institute via significant philanthropic funding is heartening,” Davies said. Philanthropy has played an increased role in supporting public interest journalism recently. In March, Guardian Australia and the University of Melbourne launched The Guardian Civic Journalism Trust, to provide funding for journalism projects that advance public discourse and citizen participation. The trust has already secured two grants from The Balnaves Foundation and the Susan McKinnon Foundation. This was followed by the unveiling of the Public Interest Journalism Initiative, which is designed to deliver a more sustainable public interest journalism ecosystem through better funding, policy reform and innovation. One of the Neilson Institute’s early priorities will be to support more reporting on Asia, as a region with growing influence and importance to Australia. “My hope is that this new institute can play a role in preparing Australian journalists for an exciting but more complicated and challenging future,” Neilson said. The institute will be governed by an experienced board of directors and supported by an International Advisory Council. A global search to appoint a founding executive director and other key staff is now underway.